As a tradition on this day wreaths are laid at the monument of Hristo Botev in the Sea Garden. It is followed by the ritual on the beach where a cross is cast into the water of the Varna Bay. Laying wreaths at the monument of Vasil Levski in the Sea Garden. The festival was founded in 2010 under the iniatiative of the film company "Aleksandar Nikolov – Artin" OOD and "Art Fest" EOOD. The programme presents the newest trends of the world, European and Bulgarian film art. This festival was established in 2004 under the initiative of Elite Music Agency in partnership with Cantus Firmus. The festival’s programme includes symphony, chamber concerts and recitals. Our city will host one of the 12 Dance World Championship Qualifications for classical dance, dance, contemporary dance, dance show, modern dance techniques, acrobatic dance, MTV, musical, jazz, lyrical and productions. A commemoration ceremony at the Monument of Georgi Benkovski in the Sea Garden. In 1982 the competition was named after the prominent Bulgarian composer Georgi Dimitrov - the founder of the contemporary Bulgarian choral school. Since 1989 the International May Choir Competition has been a member of the Organizing Committee of the Grand Prix Europe International Contest, held consecutively in Arezzo (Italy), Debrecen (Hungary), Tour (France), Maribor (Slovenia), Varna ) and Tolosa (Spain). The six above mentioned choir competitions are among the most prestigious in Europe and have gained recognition due to their long tradition, good organization and high artistic level. 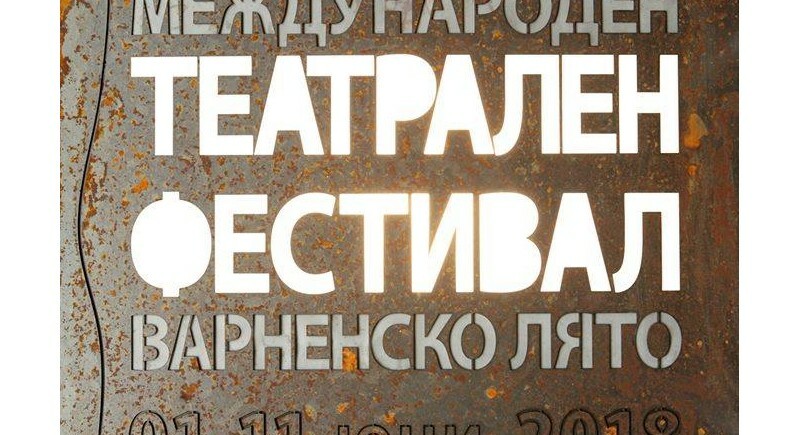 As a tradition on the eve of the Bulgarian Education and Culture, and Slavic Script Day according to the resolution of the Municipal Council – Varna, the Mayor awards the Varna Prize to artists, scientists, teachers, head teachers and distinguished students for high achievements in the field of culture, education and science. A Honorary Sign with a Ribbon of Mayor is also awarded both as a individual and collective prizes. Festive procession and open-air concerts. It is an international project which pilot edition was set in Varna in 2007. In the same year the Slavic Literary and Artistic Academy was established as well. Today it has branches in all 11 Slavic countries as well as in 5 other European states. The main purpose of this forum is to bring closer the cultural values on the basis of the common proto-language and cultural heritage of Slavs. The two international prizes Flying Feather and Slavonic Atlas are awarded in Varna. Such festivals are organized not only in Varna but in Warsaw, Moscow, Riga, Belgrade and other cities. Their programmes include round tables, concerts, authors readings, chamber theater performances, exhibitions of translated and published books, exchange of leading art-editions in the Slavic world. The international festival of poetry is held annually featuring authors from most of Slavic countries – Bulgaria, Russia, Poland, Ukraine, Serbia, Slovenia, Croatia, Macedonia. Established in 2003 as a national photograph salon, in 2007 it turned into an international event held annually, featuring professional and amateur photographers from all over the world. Performances by choral, folk, instrumental, pop and jazz ensembles and bands, as well as individual performances. The Varna Summer International Theater Festival is the theater event of largest international dimensions in Bulgaria. It is held every year between 1 and 11 June in Varna within the framework of the Varna Summer Festival of Arts. Its main purpose is to present the leading trends of Bulgarian and international stage practice and to create a space for intercultural dialogue, exchange and to be a showcase. The program is structures as a mosaic of modules. "Selected Bulgarian Performances" is focused on the achievements of Bulgarian scene during the current season. The international selection presents a variety of stage forms and leading trends from Europe and the world. The Showcase program focuses on innovative productions of contemporary theater, dance and performance presented to international theater managers. The parallel program is open to a variety of partner initiatives, discussions, workshops, theoretical conferences, lectures, book presentations, exhibitions and concerts. 3rd NATIONAL CHILDREN AND YOUTH COMPETITION "DANCING HEARTS"
Forum presenting the performing mastery of representatives from different ethnic groups. International music academy for a period of two, three or four weeks of intensive training for soloists, young performers and singers. The Golden Pearl International Festival of Young Talent was founded in 2012 and is held annually in June-August. In 2017, the festival will be held in three steps - two in June and one in August. The festival is open for participate of vocal, choreographic, instrumental, folk ensembles, sport, classical, pop music dance groups, musicians and artists from all over the world. The age of the participants starts at 6 years and there is no upper limit. 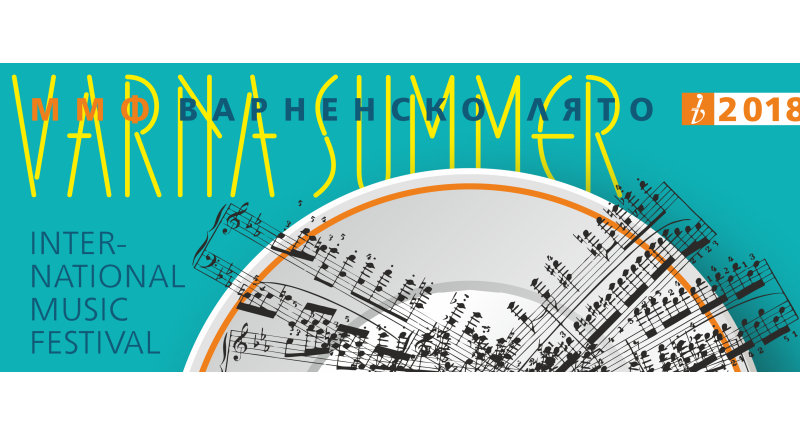 The “Varna Summer” International Music Festival is the first music festival in Bulgaria, founded in 1926 in the city of Varna. Almost 100 years ago, just after the official opening of the Varna’s Sea Baths in 1926 - the first SPA center in the sea town, emblematic personalities of Varna society at that time, among them the composers Pancho Vladigerov and Dobri Hristov, set the beginning of the first in the country music celebrations, which later became the biggest International Music Festival in Bulgaria. Having received national and international recognition, today the Festival is a representative forum of Bulgarian and world music and music performing art. The slogan of the first organizers "to unite the best music celebrities of the country" finds its continuation and advance in the promotion of Bulgarian music culture in the policy of Festival’s programming. A number of Bulgarian works have been performed for the first time within the "Varna Summer". In its more than 90-year long history the Festival has impressed with the presence of soloists, conductors, symphony and chamber orchestras, choirs, opera ensembles, ballet companies from around the world. But the ambition of every next festival program is to present at the stage of the "Varna Summer" IMF both the renowned names of the world music culture and young artists - future stars. In 1987 the Festival became a member of the European Festival Association based in Geneva. Nowadays, EFA is one of the major non-governmental organizations working at European level in Brussels on the cultural policies of the old continent, which twice consecutively awarded the EFFE Label to "Varna Summer" IMF within the period 2015-2018. The Artistic Director in 2019 is Prof. Mario Hosen. Music and children's theater schools present mini performances on various topics (with scenery, costumes, musical accompaniment). The competitive program is for the vocal performers. At the end of the festival there is an exhibition by the participants at the plein-air of artists. The festival is a contest held in the following categories: soloists, duets, pop, folk and jazz performances; show groups, vocal ensembles, pop, folk and jazz performances; dance companies and soloists (choreography); instrumental music; circus companies; theatrical fashion; children's music and theater groups; plein-air by artists. This is a children's art charity international festival founded in 2007 and held annually. The project is targeted at children deprived of parental care and placed in social homes or foster families - creatively gifted, flexible, striving to succeed in life, to develop their talent and become true professionals. It is held annually on the first Saturday and Sunday of June. Its first edition was in 1966. The programme features ensembles from Prosveta Public Cultural Center, from the schools of the district, pensioners’ clubs and from the whole Asparuhovo district. There are different stages – for rock, pop and folk performances presented by guest amateurs from the whole country. The feast ends with a big concert by professional Bulgarian pop singers. This year we celebrate 110th anniversary of the district's establishment. The festivals involve children’s, youth groups and soloists from the contries of CIS and Europe. The goal is to show their skills and to get acquainted with the work of other teams. To share experiences and find many new friends - these are the main goals of the festival’s organizers. 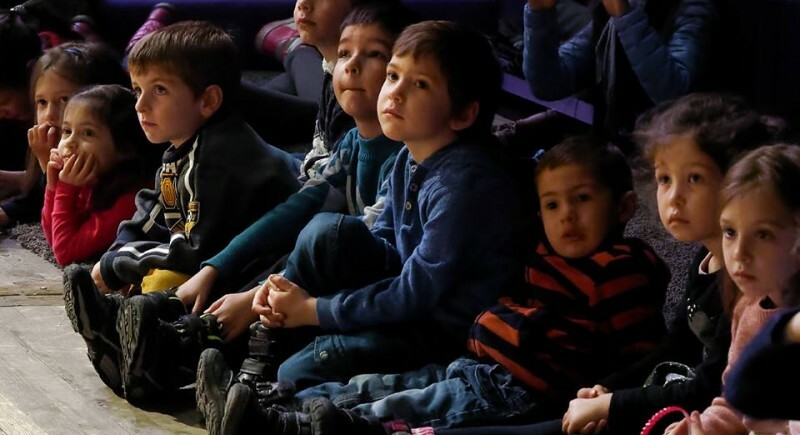 Children with disabilities are also invited to the festival to stimulate the development of artistic creativity as a means of their rehabilitation and social adaptation. Commemoration ceremony at the monuments of Vasil Levski in the Sea Garden. Established in 1992, it is held annually featuring world famous musicians from Bulgaria and abroad. Besides the joint international projects the festival includes a programme of young jazz musicians from Bulgaria. Within this period the center of the city turns into a fabulous book quarter with 15 little houses full of books and a literary corner where in the evenings people gather together, talking with some of the most popular Bulgarian writers. Established in 1992 under the initiative of the Varna Municipality, it is held every year in the first week of August. According to the festival regulations youth and adult ensembles from all over the world as well as groups for authentic folklore art are admitted to participation. The festival presents and promotes the work of artists working in the field of digital arts with creative training modules for young artists. The International Fair of Arts and Crafts is the largest art exhibition in Bulgaria. It is held annually in August in Varna. Combining traditions and contemporary trends in art, today the Fair is a place for expression of some of the best artists in the field of fine and applied arts. The demonstrations of artistic skills enable the visitors to see live creation of unique works. Divine liturgy in the Dormition of the Theotokos Cathedral (Katedralen Hram Uspenie Bogoroditschno) and icon procession. All the day round different ensembles and performers present their art on the Rakovina Stage in the Sea Garden. In the evening an official concert takes place in the Open-air Theater where is held the ceremony bestowing the title Honorary Citizen of Varna on Bulgarian and foreign persons for their contributions and merits to the development of the municipality. Late in the evening a rock and pop concert is organized in the area of Marine Station featuring well known pop and rock singers. The main goal of the festival is to determine the best performers of choreographic and vocal art; to improve the professional skills of young artists and their supervisors; to exchange creative experience and achievements between the teams and create contacts between the different countries participating in the festival; to get acquainted with the cultural heritage of Bulgaria. YOUTH FESTIVAL OF ARTS "JOURNEY TO THE PAST"
The festival has a multi-genres character including music, dance, theater, visual arts, educational documentaries. Annual event and which is held for the sixth time. It features creative youth formations from the city of Varna. Non-competitive. Organizer: Foundation "Journey to the Past", in partnership with Balgaran Theater and Historical Museum of Varna. For contact: Krasimir Yanev, tel. 088 8 60 61 68. The festival aims to expand the boundaries of cultural life in Varna, to present musical projects, in which a variety of artistic forms meet in a coherent way, such as film, video art, poetry, contemporary theater and dance, and perhaps the most creative sector in our modern life - technologies. Organizer: Sidea Foundation; radar-festival@mail.com, tel: 883 34 13 27, address: Varna, 42, F. G. Curie Str. The festival was established in 1993. The programme is a competitive one and features selected films produced the last two years dealing with the subject of love. It is open every year on the last Friday of August. The Biennial is defined as an international forum and encounter of artists from different countries, bearing the wealth and variety of the world graphic art. The participants compete for a number of prestigious awards such as Varna Grand Prix, Jury’s Prize and 3 equivalent prizes for achievements in graphic art. In October 1979 the First World Animated Film Festival "Varna” ’79 took place. Six editions were organized, the last of which in 1989. Since 2011 the festival has been re-established in Varna. The festival was established in 1961. Until 1974, except 1965 (when the Balkan Film Fest had its single edition), it was held every year. A selected jury awarded prizes for the best film on contemporary subject, for the best screenplay, best directing, best cameraman, best actress and actor, etc. A forum, which aim is to discover and promote young talents in the field of modern ballet. It is held in two rounds: for children and teenagers. The competition has been held since 2016. It was founded under the initiative of the European Music Academy Foundation. Parallel to the competition days, the participants, the guests and the citizens of Varna will see two concerts. The first one – by the jury members to open the event and the second one by the laureates after the award ceremony. The program also includes lectures, creative meetings of participants and jury, as well as the master class with Prof. Ayla Uludere. Established in 1997, the festival presents pensioners’ amateur ensembles performing Bulgarian folklore, urban songs and ever-greens. CITYWIDE CHRISTMAS FOLKLORE EVENT "DRYANOVITSA"